Being a Christian in the social media age can make you feel like you are living in a fishbowl. Everything we say and do is out there to be observed, commented on, and judged. It can be intimidating, but the day to day fishbowl grind is part of our calling. Christians are the light of the world, a city on a hill. And hopefully, this blog will help make your life in the fishbowl a little bit easier. But before we share more about this blog let us share a little about us. We are Chip and Halee Anthony. Chip is the Senior Pastor of North Orange Baptist Church in Orange, Texas. 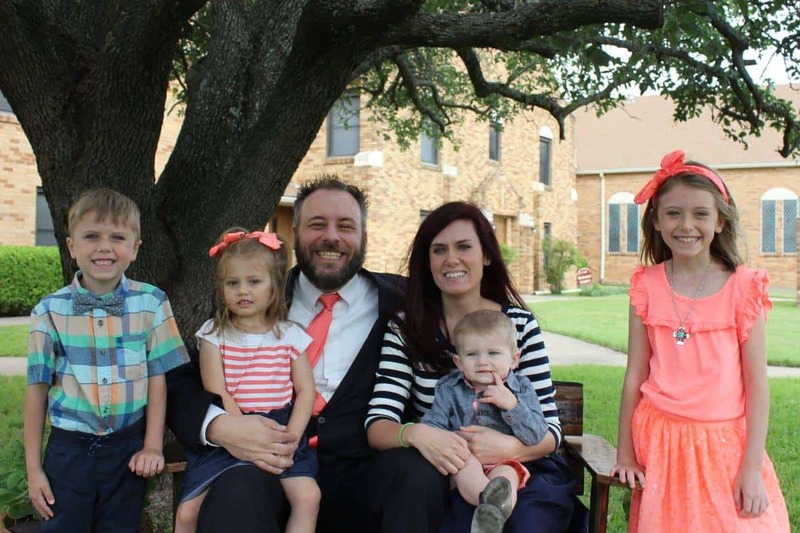 He is a graduate of Baylor University and The Southern Baptist Theological Seminary. He is a doting father, an amazing husband, and an above average preacher. Halee is the glue that holds our house together, the grease that keeps it running smoothly, and the editor to critique our mixed metaphors. After six years of working as an English teacher in low income and alternative schools, she is working as a full-time mom (not a homemaker!) for the first time. And although this had been her prayer for six years, the transition was more difficult than expected. But she’s totally got it under control now….most days. 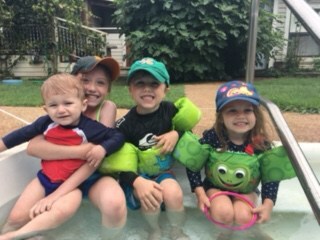 We have four delightful children: Brinley Belle, Dax, Baylor, and Dutch. They are fun, thoughtful, precocious, messy, silly, pastor’s kids (or PKs for short), and we worry about them growing up with that label. Although they didn’t choose to live under public scrutiny, they are right there in the fishbowl with us. And they are learning not to mind it so much. From an early age, we teach our kids that they are supposed to be salt and light in this world because that’s what Jesus wants all Christians to be. Today, the opportunities to shine a light into the world are greater than ever. This blog is to help Christian families use that light well. Our ministry exists to enrich and equip believers as they try to live as Christ. Since we’ve got your attention, let us give you one takeaway about this calling of yours and ours. While living for Jesus is a high calling, it doesn’t have to be a complicated one. Jesus broke it down like this. It’s that simple. Love God and love your neighbors. The heart of our ministry is to help people do just that so that they can make an impact for the Kingdom in their home, church, and community. At Fishbowl Family we give practical advice on parenting issues like studying the Bible together, being deliberate in parenting, and serving others as a family. We hope that you will find encouragement and instruction here. But the best way to keep in touch with us is to sign up for our newsletter. If you fill out the form below, we will send you a list of five amazing tools for helping your kids grow in their walk with Jesus.